Streamline the management of your enterprise assets and maintenance activities with Performo™. 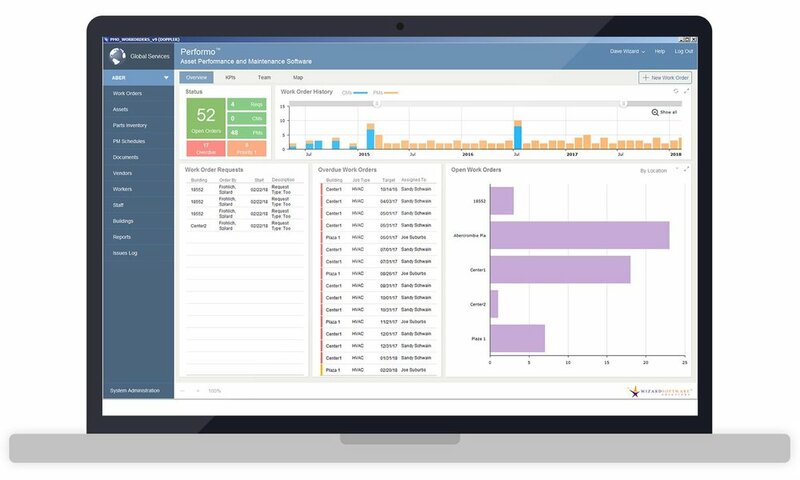 Whether you’re dispatching or tracking work orders, service requests, or maintenance schedules, Performo™ offers the simplicity and flexibility your organization demands. Available solutions and interfaces include parts and inventory management and online work requests. Plus, mobile field workforce solutions let your group deploy Performo™ as a complete CMMS software solution. Quickly find and compare work orders and totals by asset category, requester, department, worker, priority, job type, location, or any other field. Create work orders quickly and easily with configurable drop-down value lists. Electronic notification of work orders directly to the appropriate internal worker or outside vendor can be done by email or text message. Track work order start, target, and completion dates and times. Escalation rules can be configured to elevate priority levels and notify key personnel. Enter and track parts used on all work orders. Generate reports when parts inventory levels reach pre-determined quantities. Keep all companies, vendors, contacts, and contact info in a central location. A centralized database of all assets and related information—find, sort, and report a list of any assets you want in only a few clicks. Preventive maintenance schedules can be weekly, monthly, quarterly, semi-annual, or annual, with a wide range of custom schedules also available. Hundreds of preventive maintenance checklists are included with Performo™, plus you can easily build your own. Assets can be categorized and organized by an unlimited number of user-defined systems such as HVAC, electrical, plumbing, life safety, clinical/medical equipment, manufacturing lines, IT, and fleet/vehicles, just to name a few. Attach unlimited related documents or photos to assets and preventive maintenance schedules. Reports are available for sets of data based on your own query criteria, or executive-level summaries of data by any number of categories. Easily build custom reports of your own. 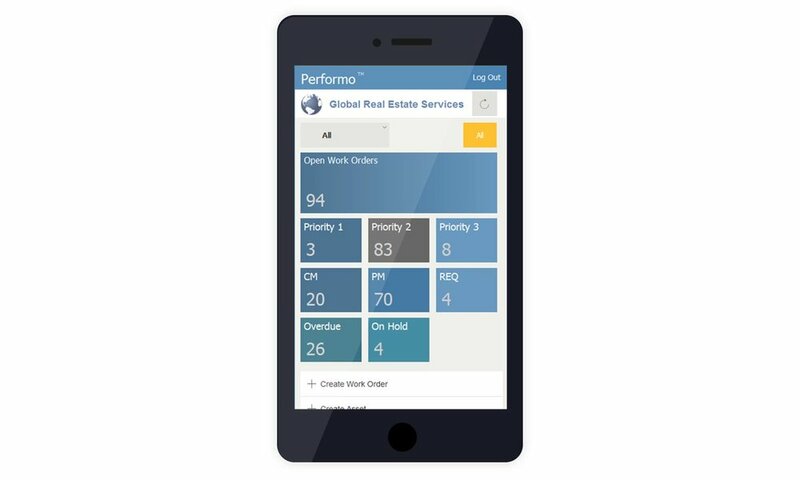 Performo Go™ mobile interface for field-service workers, technicians, and supervisors. Web-based work request and tracking interface. "Wizard Software has been a tremendous partner for over 10 years. They’ve helped us manage corrective and preventive maintenance at over a hundred of our clients’ locations with mobile solutions and customized workflows and reports that match the ways we work." - Mary Beth Houze, Amstar Inc.
Performo™ has multiple web-based and mobile interfaces, including in-the-field management of work orders and assets, and an online work order request portal for staff or other served groups of individuals. Performo™ can work independently, handle the cross-creation of work orders and capital projects with Projecto™, or be integrated with your real estate locations managed in REportfolio™.